This is part one of the Christian Controversy Series. Monday morning of April Fool’s day began at 7AM for some Greenville University students taking Methods of Wesleyan Theology as their capstone course, with a trip 50 minutes outside of Greenville and into St. Louis. The Crossing, a church in St. Louis, hosts the One Future conference in St. Louis, inviting speakers from all over the county into the large auditorium for conversations on leadership. During these short five-to-fifteen-minute talks, pastors and professionals spoke about a range of topics regarding Christian Unity. 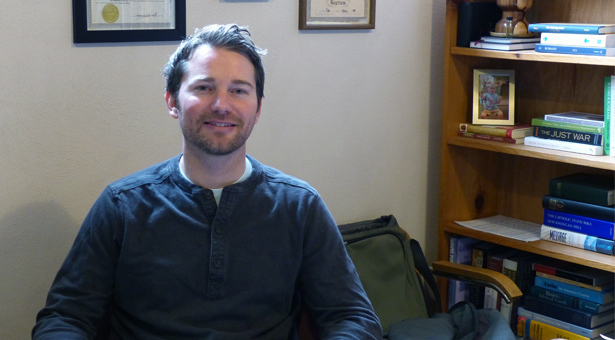 Which brings into frame our metaphorical Mufasa Dr. Ben Wayman, Professor and Andrews Chair of Christian Unity – I’m sensing a connection – of Greenville University. During his brief discussion on Unity within the Church, he touched on several points, with two sticking out. Wayman outlines that the word of God has a kinship between each and every person within Christ. 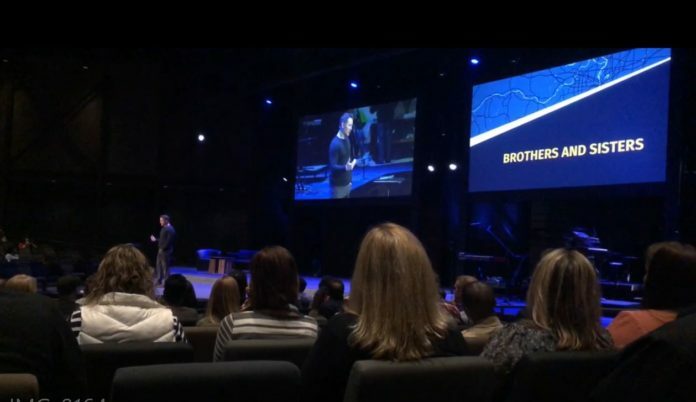 Connected by love, he expects our overwhelming momentum to be forward towards that Pauline phrase “brothers and sisters” – you may want to take a gander at what Smash Mouth leads us to believe about our brothers and sisters. With those statements as the connective tissue of our Christianity, we are called to a care that is humbly accepting of our brothers and sisters. This love is not discriminatory or exclusionary by nature, it is complimentary to Christ and to the kingdom. “God’s [kingdom] is diverse,” Wayman says passionately nearing the end of his session. It may be a bit controversial to state so plainly that God’s word is revoluationary; not bound by tradition. Between Christians, this is a point of contention, and may remain that way for centuries to come. The second statement has some fire behind it. As of late, the America First motto has risen to fame via the use of President Donald J Trump in the 21st century. This phrase, while not new, is a critical piece of the American Christian dialogue in the present age. The conservative party that Trump heads steadily holds the evangelical vote by an 8-point margin, according to Pew Research’s study of polls conducted across a range of platforms among protestants. With the Jewish, Catholic, and all other religions polled, all bodies outside of the Protestant faith voted to support the liberal party throughout 2018. Moreover, white evangelicals make up over 70% of the republican protestant vote in 2018, and that percentage has been even higher in previous elections. And the Republican Party knew that, tapping into the expanse that was Christianity for political gain within the mid-to-late 20th century. Now, the party has been compared by pundits and commentators to Christianity and claims to hold Christian values. But with this particular statement at mind, the statement stirs the crowd at the One Future Conference. Wayman’s disagreement is underscored by his statements, pulled up on the screen in a royal blue and gold PowerPoint slide. His points, to focus on our brothers and sisters as being those “at the border” and “in prison” is to not place ourselves at the center of Christianity. We must, in Wayman’s terms, treat these marginalized communities with love and compassion; we must move away from this excluding of people. Previous articleMarketing on Social Media or: Why Is Sunny D Suicidal?